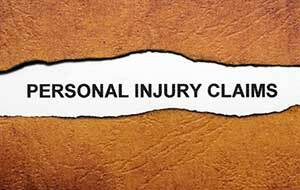 An unforseen accident or injury can derail plans and threaten financial stability. When this happens, The Burke Law Group LLC is there to protect our clients' interests and hold those responsible accountable. With decades of experience negotiating claims, The Burke Law Group LLC has secured settlements of our clients in the millions. Whether the case is a complex medical malpractice matter, premises liability, or a motor vehicle accident, clients can count on The Burke Law Group LLC to do our very best to obtain a favorable settlement for our clients. Part of the reason The Burke Law Group LLC is so effective in representing our clients is our reputation for aggressive litigation and our formidable trial experience. Our clients are able to benefit and rely on our firm's ability to litigate and try cases for negligence, if and when insurance companies fail to offer our clients the settlement they deserve.